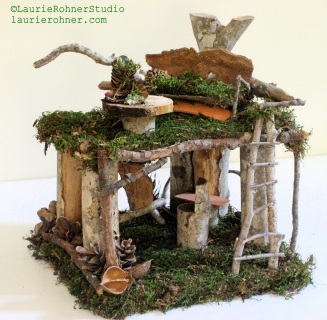 One of a kind custom sculpted woodland fairy houses Woodland Fairy House Artist Loft handmade fairy sculptures by Laurie Rohner. 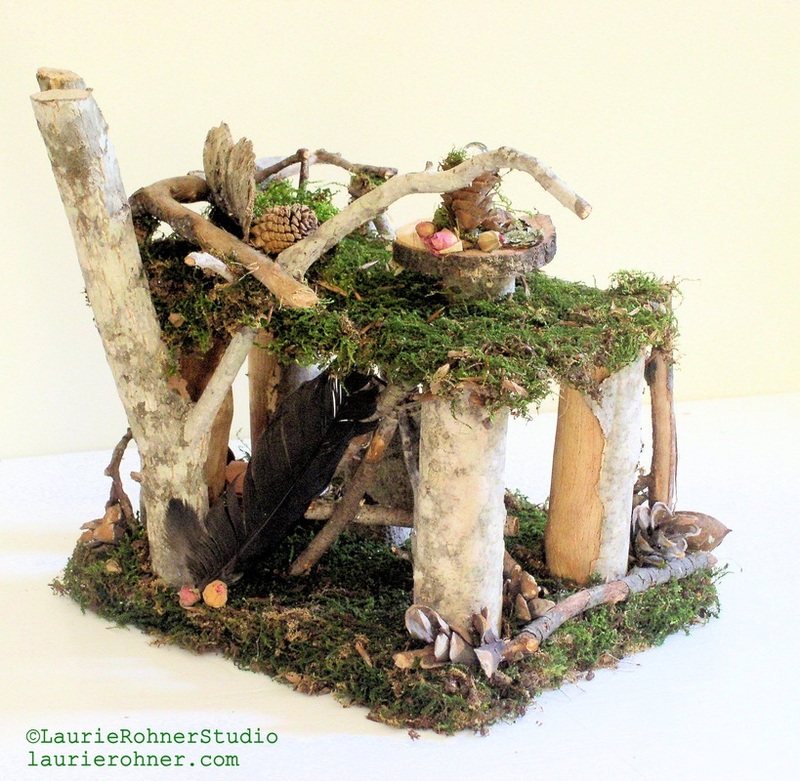 SOLD Woodland Fairy House is an artist loft style fairy house. 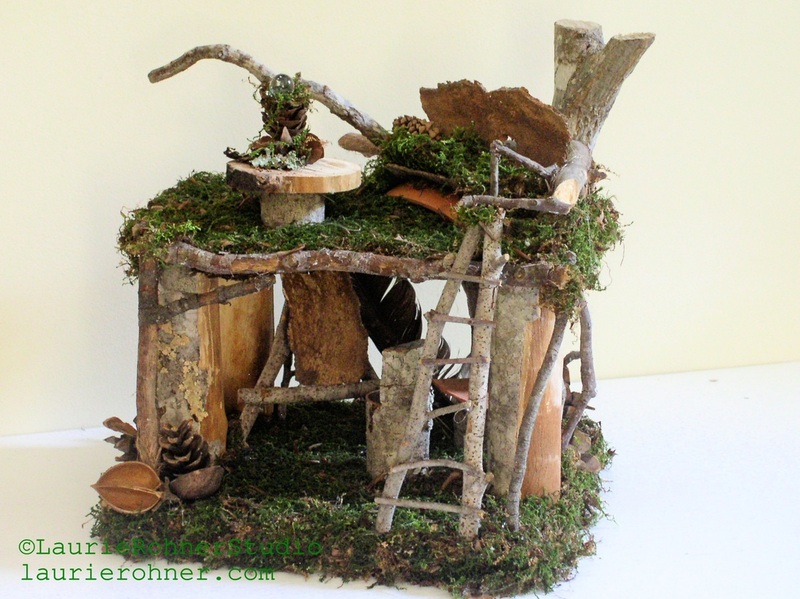 Fairy furniture come with the custom sculpted woodland fairy house. Use it inside or in t he garden. It is a special fairy house for creative people that want to share their homes with other creative beings. The loft comes furnished with an upstairs conversation area for the creative fairies to discuss and critique the resent work from downstairs in the studio. There is a couch and table with a fountain that can be lite. 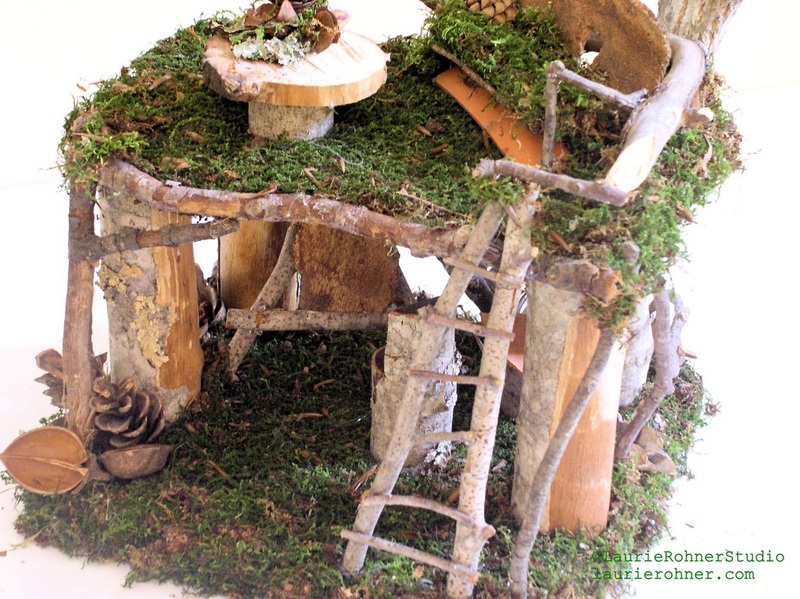 A ladder leads to the loft but as you know fairies seldom have to use. 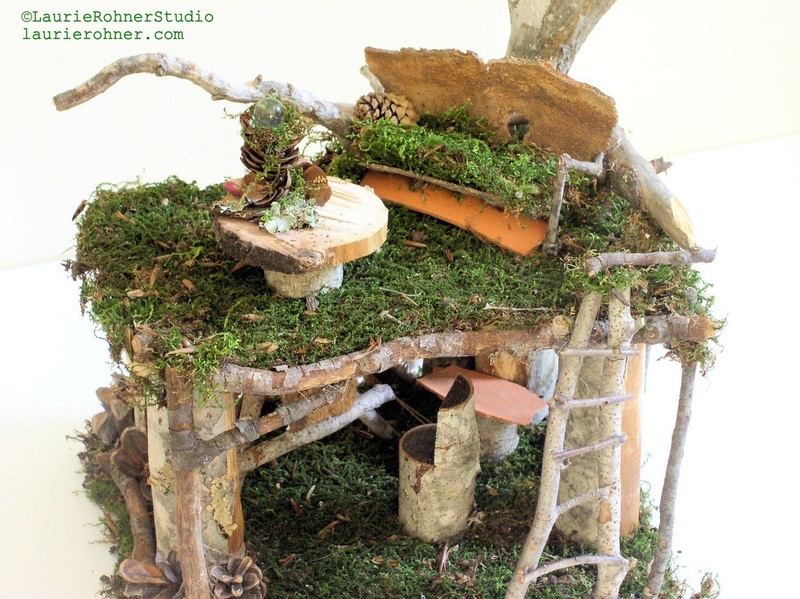 The lower level is the artist studio are and has an easel set up for the next great fairy art work. A clay top table is in the corner and a stool is in front of the easel. It is open and airy just like any loft should with large columns supporting the top. In the back is an old crows feather I just happened upon the other day. 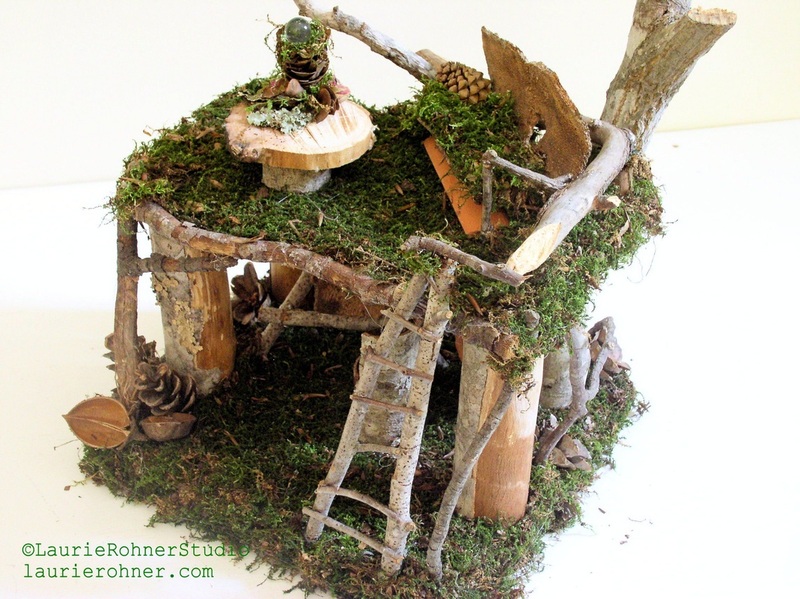 The house is ready for creative people to share with the fairy artist who will dwell inside. If you are lucky and be kind to her or him I know you will find your imagination soar. Magical mystical and certainly will be a conversational piece of art. House Size: 12"wide x 9"deep x 10" high. I wrap each house carefully with tissue on the inside of the houses and then the entire house is wrapped in brown paper. But be careful unwrapping these beautiful sculpted work of art. I ship everywhere via USPS Priority Mail.